Samuel Haughton, a Guildford graduate from Kent, had great success with his first one-man show, Songs from the Shower, in July and never thought that he would find himself planning a third round of scrubs and bubbles just weeks later. 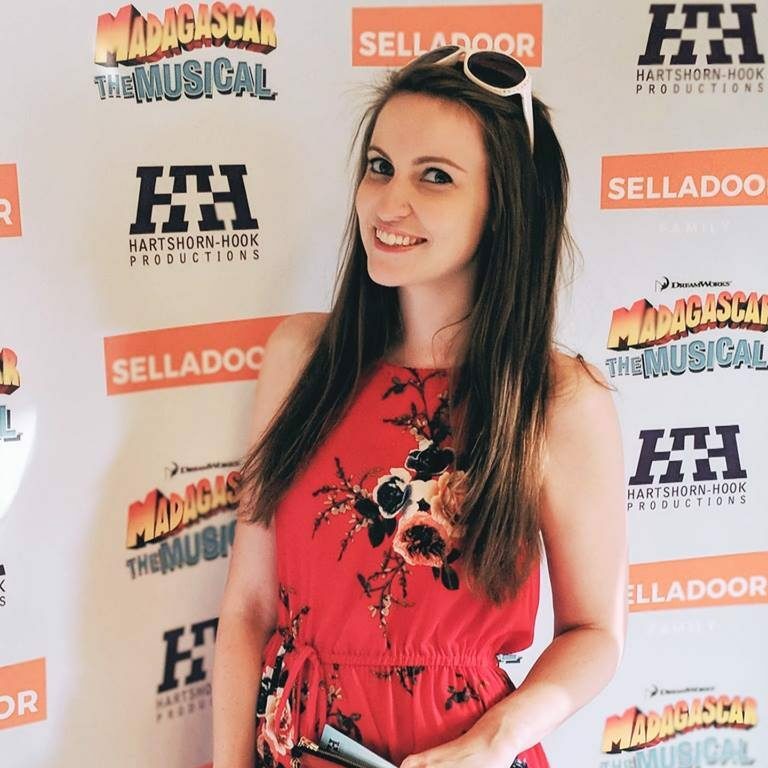 After reviewing the first performance of rollercoaster emotions through teary eyes I decided to interview the brains and beauty (must be all of those on-stage cucumber face masks) behind the show. While attempting to survive a worthy Ed’s Diner food coma, Sam and I settled into our oreo and chocolate milkshakes to discuss how the revue’s concept went from shower curtain to stage. The original performance included I Know Him So Well from the musical Chess and Maybe This Time from Cabaret. He even had his own Disney Princess medley! Thus Songs from the Shower was born. The original performance was part of the Fringe on Fringe festival at the London Theatre Workshop, and was in such high demand that Sam was offered another date. Although the show you can see at the London Theatre Workshop this week is not the same as the original back in July. Sam has also brought in a host of lovely guests this time who will all be doing their own numbers as well as joining in with some of his. On opening night he will joined by Tim McArthur with Jodie Samantha Steele accompanying him on Friday. Saturday sees Gary Albert-Hughes and Tom Read Wilson’s taking to the shower and Samuel Buttery will help to close the run on Sunday. I wanted to know more about Sam’s love of music and it is clear that his connection with the numbers is a deep influence in the creation of Songs from the Shower. After the success of Sam’s show I was eager to see what else is on the cards in his career. On that note we decided to go home (before we surrendered completely to Ed’s milkshakes) and crawled towards the car nursing our full stomachs and my full book of notes. 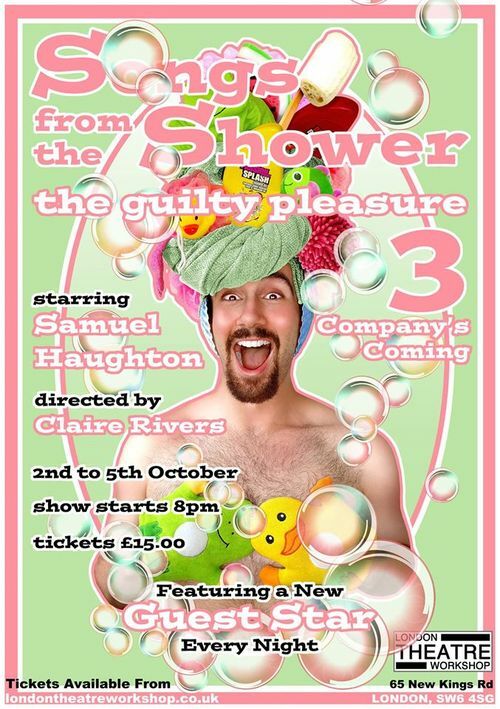 Make sure you catch Sam and his talented guests in Songs from the Shower 3: Company’s Coming at the London Theatre Workshop from 2nd – 5th October. Tickets available online here.